Sometimes it's hard to know how many stars to give a book. Not this time--5 solid stars all the way. I was sent this book in exchange for an honest review. She’s done it again! This story of family and relationships is solid, beautiful and raw. I thought there was no way I’d like it as much as The Lightkeepers but I’m so happy I was proved wrong. The natural world is described with such love and attention. Absolutely obsessed! When her estranged older brother returns home, bleeding and running from the law, nine-year-old Cora agrees to leave with him, but soon discovers the shocking truth of his dangerous crusade. A highly readable and suspenseful page-turner with compelling moral questions. 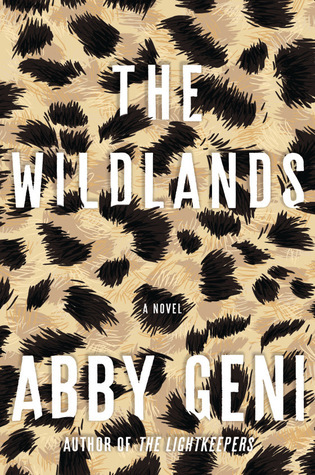 Highly recommended, I really, really enjoyed my time in the Wildlands, which wasn't that long of a time as I could not put this book down, except to go to party, but that's another review. At times the narration and structure reminded me of Swamplandia!, which is a really good thing. Story-wise, if you've enjoyed T C Boyle's 'A Friend of the Earth' or 'When the Killing's Done' this might also be right up your alley. I won this book in a Goodreads giveaway. It was described as a "page turning new novel" and that is accurate. I never felt particularly close to any of the characters, but the plot hooked me. I wanted to know what was going to happen next so I kept reading.